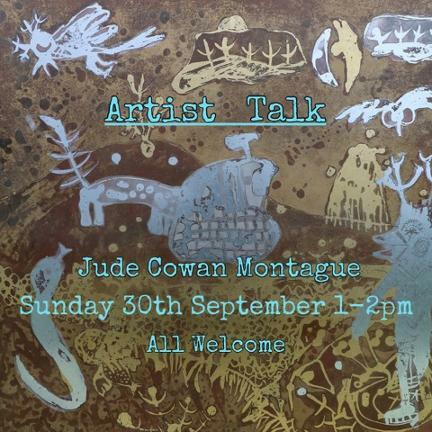 Work in copper, brass, bronze, zinc, aluminium and steel which combines experimental monoprint with elemental chemistry. Exploring ideas of primitive alchemy and ancient imagination of animal spirits. Plus illustrations on paper from her graphic novel 'Love on the Isle of Dogs', a true love story about her marriage to a man who was diagnosed with paranoid schizophrenia. Some works will be for sale.